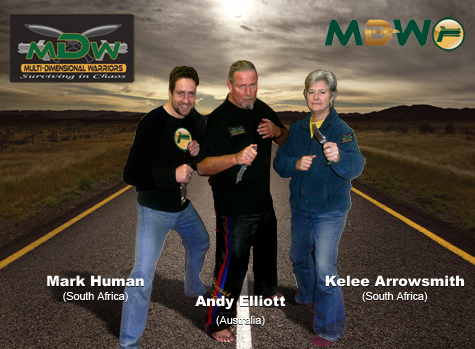 The MDW tactics & methodologies have been developed over 30 years through the real experience of our instructors, trainers & members on the violent streets of South Africa where our proven training methods have saved many lives throughout the years. MDW is taught and utilised by Law Enforcements, Special Forces, Military, Navy, Security, and Civilians around the World. To keep our tactics way ahead of the criminals of the world with our utmost agenda – to educate & facilitate how to save lives every day. Born of combat on the violent streets of South Africa, the MDW Training Methodology provides an environment and a framework to effectively navigate the Chaos of Combat. Our Framework provides our Instructors, Trainers and Students with an understanding of all the Dimensions that are required to survive, engage and dictate general and specific challenges that we may face in a violent attack. The MDW Methodology and Framework provides context and a matrix to bring together elements of the key dimensions of combat. Our training is blade focused but incorporates extensive close quarter firearm, empty hand and improvised weapons, almost anything that can be used to save your life in the face of a violent attack. 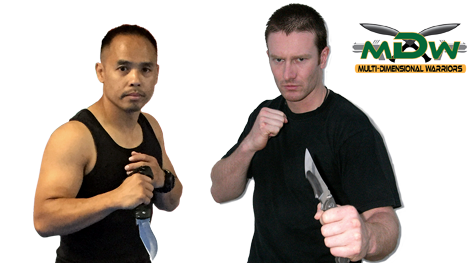 Martial artists who are experienced in other systems are able to easily insert their techniques and tactics into the framework to complement their knowledge. We believe that people “die in the gaps”, which means that your training should be based on defending yourself against realistic attacks by armed or unarmed attackers in real-time. Your value and belief systems need to be in place; in other words, you must know what you are prepared to do to defend yourself, when you are prepared to take these actions and also understand the consequences of your actions, both morally and legally. This reduces the possibility of believing in skills that may feel good in the class environment but crumble when put to the test for real. If a large percentage of your training with a partner is not happening in real-time (full force, continuous attacks), then your defenses cannot develop correctly and there is a good chance that you will die in the gaps. We pride ourselves as solution finders in an ever evolving chaotic environment. These are the elements and tools that we harness to become Master Navigators of Chaos. Your experience in the very first class will be very different from the subsequent classes. It is our belief that we should prepare you to be able to survive a sudden vicious attack and so the first class is dedicated to providing you with the understanding, recognition skills and basic tools to do so. Subsequent classes are structured so that you spend a month to six weeks focusing on developing a core skill and making it functional in all of the dimensions of combat. The new skills are then tested during each class by means of sparring and realistic scenario training. In the modern world, many words are used loosely & have lost their true original meaning. The words of Heraclitus 600BC, emphasize that warriors are men & women set apart from the general population. We come from all walks of life, nationalities, religions & cultures, but we are drawn together by a special calling. True warriors are a rare breed, maybe this is one of the reasons our training groups tend to be smaller than mainstream martial arts. It is but a few, who can truly follow the life commitment of living as a warrior. Warriors are more than just good fighters, they apply themselves to all dimensions of warriorship in daily life.